Game of Thrones memes have become very popular these days, and we can see more and more people using their creative talent and releasing it on the Internet. 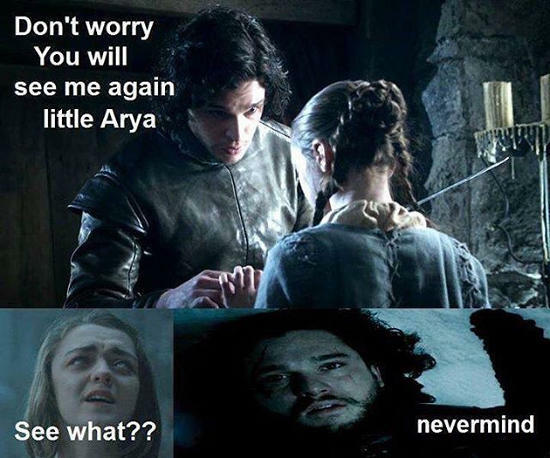 The latest meme being “A girl is Arya Stark of Winterfell and I’m going home.” A lot of memes about different characters from GoT season 6 have been made, but we need to admit that the Arya Stark of Winterfell memes are the icing on the cake. In Sunday’s Game of Thrones season 6, episode 8, we saw a lot of things happening in the show. 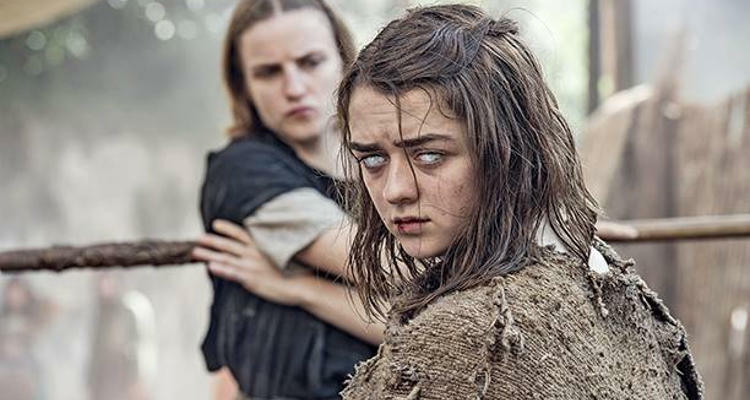 Let’s first start with Arya Stark because, for all those who have not seen Sunday’s episode, we are sure you are dying to know whether she is alive or not. Everybody’s favorite, Arya Stark (Maisie Williams), is alive. 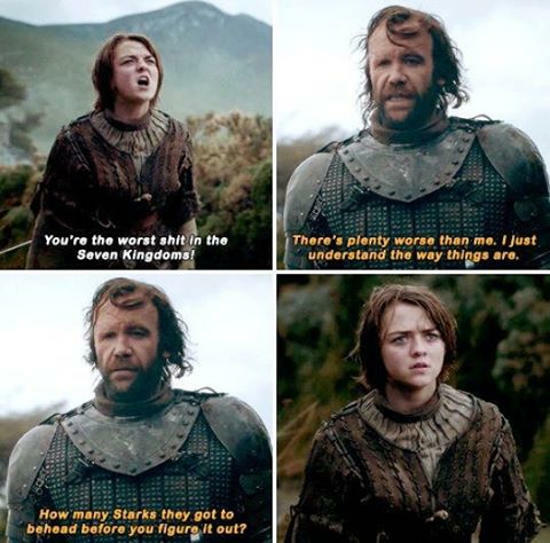 Yes, we are all relieved to find out that Arya does not die and is saved. 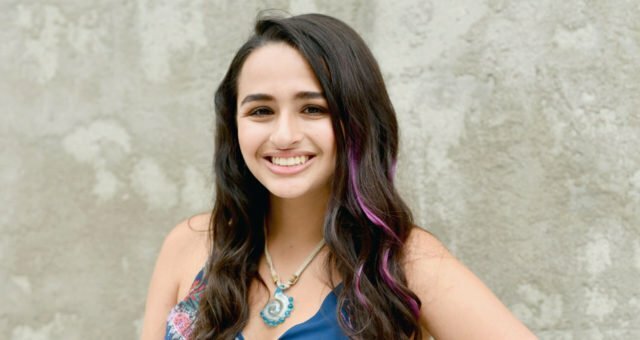 In fact, she’s even seen dropping major dialogue—or rather a line—that made all the viewers awestruck and fall more in love with her. In addition to that, it turns out that Jamie Lannister (Nikolaj Coaster- Waldau) could easily win back his castle Riverrun without any fighting or bloodshed of any sort. Since Jamie Lannister gets his castle back, it means that poor Blackfish (Clive Russell) loses the castle because his army abandoned him and he was forced to surrender. 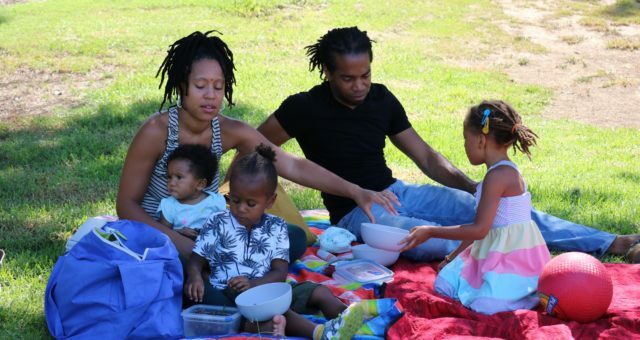 Well, let’s hope that the next episode of GoT won’t keep us in suspense like this episode. 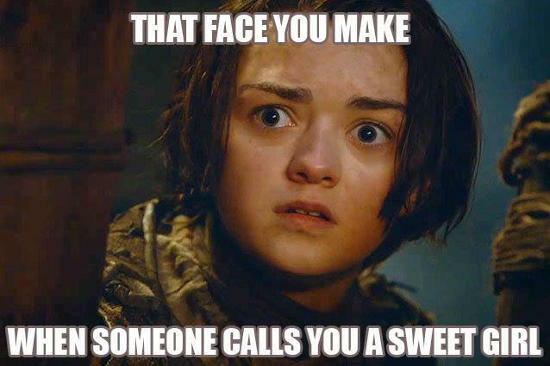 Since Arya Stark is loved by many people, we have compiled a list of five Arya Stark memes that will tickle your funny bone. They say if a daughter resembles her father then its a good thing, but in Arya Stark’s case, we don’t think it served her any good luck! 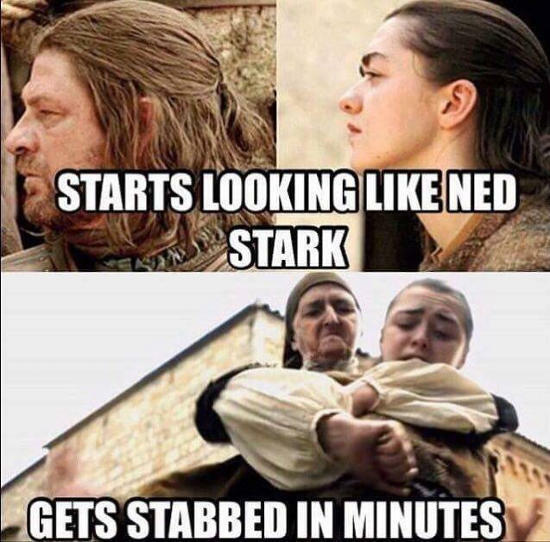 The moment she changed her hairstyle to resemble her father, Ned Stark, she got stabbed. 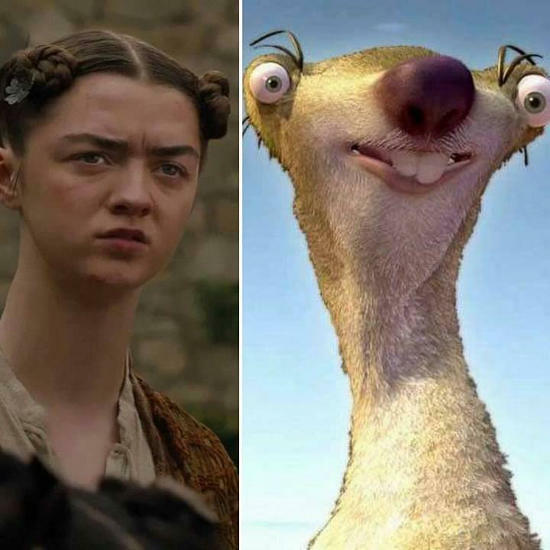 These two bon bons on Arya’s head make her look like Sid from the movie Ice Age, don’t you all think? We hope YouTube channels don’t end up making a hair tutorial on this! The conversation between these two are the best and are probably the funniest and the most sarcastic on the show. Little did she know that she would lose her sight and be unable to see Jon Snow. First it was her eyes, and later somebody stabs her; how much will she endure?